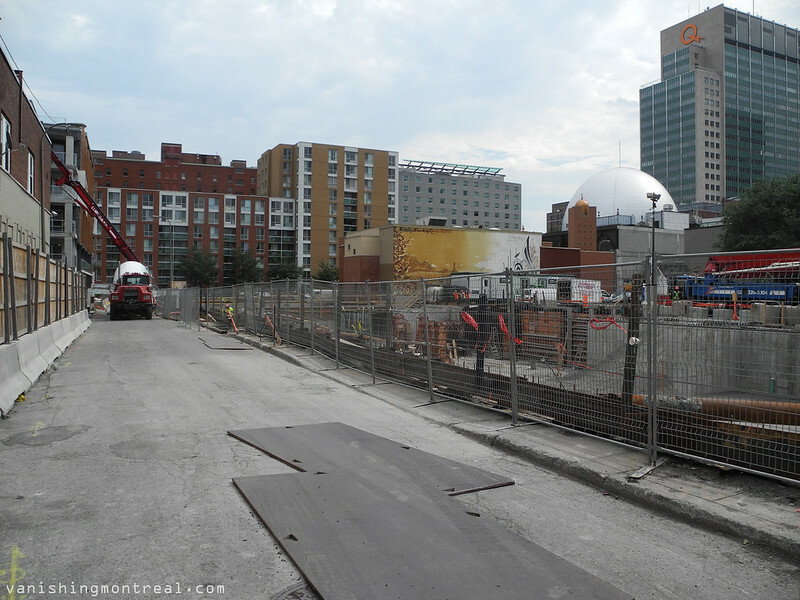 Big construction site between Ste-Catherine and Charlotte in downtown Montreal. We're looking down on Berger street down towards Charlotte. Immense chantier de construction entre Ste-Catherine et Charlotte au centre-ville de Montréal. On est sur la rue Berger regardant vers Charlotte.